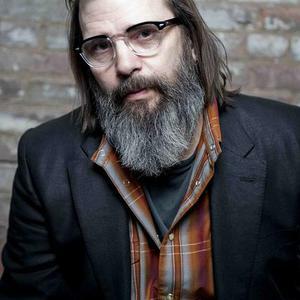 Steve Earle (born Stephen Fain Earle on January 17, 1955, in San Antonio, Texas) is a singer-songwriter best known for his country music and rock 'n roll tinged "alt-country." He is also a published writer, a keen political activist (particularly in protesting against the death penalty in the U.S., as in his song "Ellis Unit One" from the movie Dead Man Walking), and has written and directed a play. Earle also had small roles on the HBO television shows "The Wire" and "Treme". His sister Stacey Earle is also an acclaimed singer-songwriter, as is his most recent wife, Allison Moorer, whom he wed in 2005. His first son from an earlier marriage is the singer-songwriter Justin Townes Earle, named for Earle's hero Townes Van Zandt. His sister Stacey Earle is also an acclaimed singer-songwriter, as is his most recent wife, Allison Moorer, whom he wed in 2005. His latest album of original material I'll Never Get Out Of This World Alive was released in 2011. Songfacts reports that one of the tracks, This City, got played on HBO's New Orleans based show Treme several months before the album?s release. Earle, who plays a recurring street musician, composed the song especially for the drama series.